South Africa’s leading tourism businesses were celebrated and recognised for their contributions to the country’s global destination competitiveness, at the recent 2017 Lilizela Tourism Gauteng Awards Ceremony held at Freedom Park in Pretoria. Conferencing giant, The Birchwood Hotel & OR Tambo Conference Centre, was selected as one of the three provincial winners in the Meetings, Exhibitions and Special Events Category. “We are delighted to have been recognised as a major player within Gauteng’s booming business tourism sector,” says Greg Hoffmann, Birchwood Hotel’s Marketing Manager. Established in 2013, the Lilizela Tourism Awards are an initiative of the National Department of Tourism and South African Tourism. The awards aim to emphasise and encourage the role tourism businesses play in employment creation, foreign exchange, growth for other sectors of the economy and entrepreneurship development. “Situated 10km from OR Tambo International Airport, we pride ourselves on our contribution to the growth and perceptions of SA’s Business Tourism Sector; making this achievement extremely validating for the Birchwood family,” says Hoffmann. Open to public vote, the Lilizela Tourism Awards represent the opinions, experiences and ratings of consumers; providing valuable feedback for establishments, as well as provincial and national sectors on how to improve tourism industry ratings in the future. “We’d like to thank all those who took the time to rate their meetings, exhibitions and special events experiences with us. Your support is invaluable and we hope to be your venue of choice for many years to come,” says Hoffmann. For more information about The Birchwood Hotel & OR Tambo Conference Centre, call (011) 897 0000 or visit www.birchwoodhotel.co.za. From a simple do-it yourself hire of games where you can collect and return, to a fully assisted planning process for a children’s party, grown ups party, corporate event, or other occasion, Family Games is here to help. Events can be product hire only or supervised and conducted by our suitably trained and qualified staff. 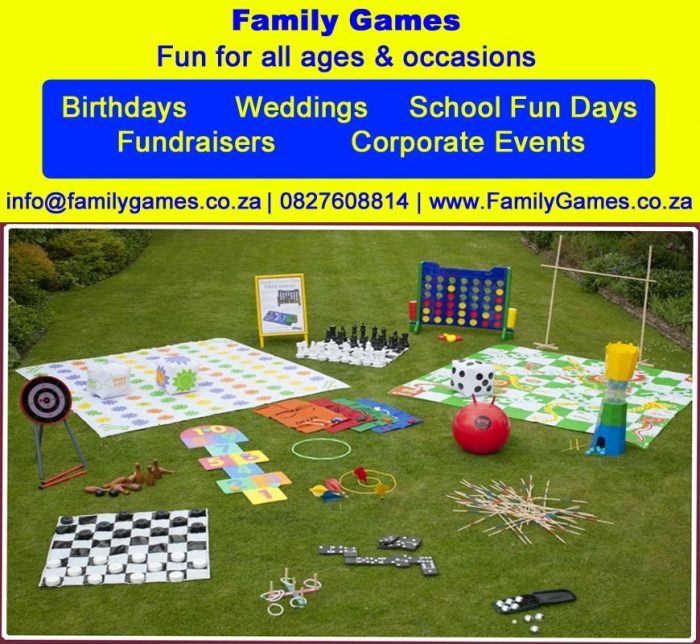 Economical hire arrangements and a comprehensive range of products makes Family Games the obvious choice for any private or corporate occasion you are planning. 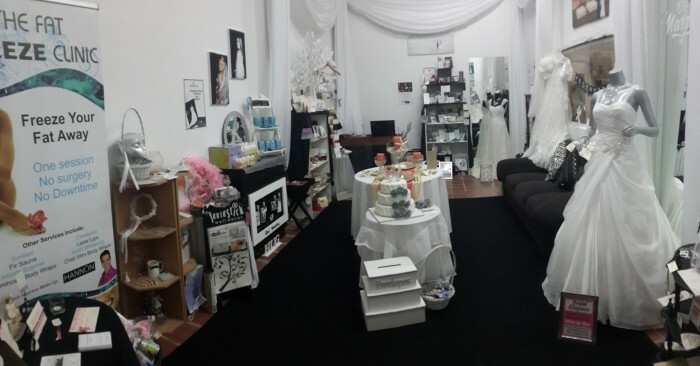 B-Unique Weddings & Events Showroom is a new concept in wedding and Event services; a fresh, simple approach to finding everything you need, either online or visit us at the showroom in Walmer. We can help you with everything you need to make your wedding day a day you will remember for the rest of your life. We want to make the wedding planning process as effortless as possible for you. At B-Unique Weddings & Events Showroom, we have all of your Wedding and Special Occasion needs under one roof; a vendor in every category. Trust me – if you need it for your event, we’ve got it or we will assist you to get it! Our USP is: Everything you need under one roof, if we don’t have it we will help source it for you.